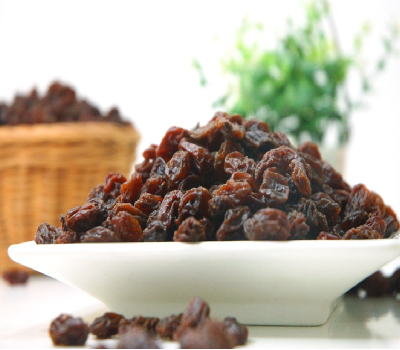 What Bracha do you make on Raisins? Blessed are You Hashem our God king of the universe, Who creates the fruit of the trees. Baruch Atah Adonai, Eloheinu Melech Haolam Borei Pri Haetz. Blessed are You, Hashem our God, King of the universe, for the tree and the fruit of the tree, for the produce of the field, and for the precious, good, and spacious land which You have graciously given as a heritage to our forefathers, to eat of its fruit and to be satiated with it’s goodness. Have mercy, Hashem our God, on Israel Your people, on Yerushalayim Your city, on Zion the resting place of Your glory, on Your altar, and on Your Temple. Rebuild Yerushalayim, the holy city, speedily in our days, and bring us up to it and make us rejoice in it, and we will bless You in holiness and purity. For You, Hashem, are good and do good to all, and we offer thanks to You for the land and for the fruits. Blessed are You, Hashem, for the land and for the fruits. Baruch Atah Adonai, Eloheinu Melech Haolam, Al Haetz V’al Pri Haetz, V’al Tnuvas Hasadeh, V’al Eretz Chemda Tova Ur’chava, Sheratzisa V’hinchalta Lavoseinu, Le’echol Mi’pirya V’lisbo’a Mituva. Racheim Adonai Eloheinu Al Yisrael Amecha, V’al Yerushalayim Irecha, V’al Tzion Mishkan K’vodecha, V’al Miz’b’checha V’al Heichal’echa. U’v’nay Yerushalayim Ir Hakodesh Bim’hayra V’yameinu, V’ha’aleinu L’socha, V’samcheinu B’vinyana, V’nochal Mipirya, V’nisba Mituva, Oonevarech’cha Aleh’ha Bikdusha Oov’tahara. Ki Atah Adonai Tov U’maitiv Lakol, V’nodeh Lecha Al Ha’aretz V’al Hapeiros. Baruch Atah Adonai, Al Ha’aretz V’al Hapeiros. 🔷 For more info on the Bracha of Al Haetz, Click Here.